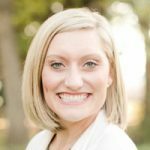 Marissa Kalkman is the executive director of the Wellness Council of Wisconsin (WCWI), a statewide nonprofit organization that serves to be a community of connected employers that are transforming Wisconsin’s workforce. As executive director, she leads the organization to support 700 like-minded professionals from over 500 member organizations of all industries and sizes across the state in developing and sustaining results-oriented strategies to impact employee well-being. Marissa leads with the mindset that well-being in the workplace is good business and the right thing to do, with resounding positive effects on the employee experience, engagement, retention, recruitment, productivity and overall health. She has a unique and proficient skill set in employee and organizational wellness gathered from her experience as a consultant, strategy leader, program manager, health educator and coach. Marissa received a bachelor’s degree in psychology and public health education and a master’s degree in applied health science, health promotion from Indiana University. She’s a Master Certified Health Education Specialist (MCHES), an ACSM Certified Exercise Physiologist, and completed Wellness Coach training through Wellcoaches School of Coaching.